As I mentioned in my last post, the Government Printing Office celebrated its 150th birthday last Friday. 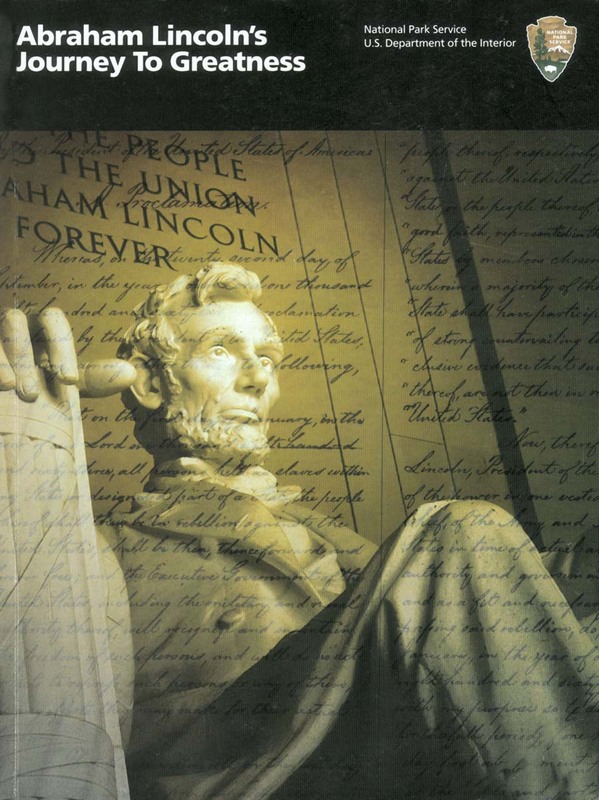 Around here, we like to say that there were really two inaugurations on March 4, 1861 – President Lincoln’s and ours. Lincoln is also, as far as we know, the only sitting President ever to have visited GPO. Coincidentally, given these connections, a new book from the National Park Service (NPS) just hit my desk: Abraham Lincoln’s Journey to Greatness. Our 16th President is also special to the NPS. According to the introductory copy, it manages five National Park sites solely dedicated to Lincoln, four more with strong Lincoln connections, like Mount Rushmore, and a total of 47 “that include Lincoln and the Civil war stories as primary interpretive themes.” If you add in sites that deal in some way with slavery and Civil Rights stories, the total jumps to 75 – almost a quarter of all NPS sites! Abraham Lincoln’s Journey to Greatness is a great way to look at Lincoln the man and the statesman as he began what still remains the most trying period in the history of the Republic. When I finished it, I was ready to rally round the flag! You can find a copy of this new book here or find it in a library. This entry was posted on Wednesday, March 9th, 2011 at 9:30 am and is filed under National Park Service. You can follow any responses to this entry through the RSS 2.0 feed. You can leave a response, or trackback from your own site. OF THEM ARE UNKNOWN.THIS STORY IS RELATED TO PRSIDENT OF THE AMERICAN CIVIL WAR!BUT THIS A SPECIAL EVENT!!! AND THIS EVENT , CAN NOT CONCEAL THE TRUTH VALUE , OF A PRESIDENT LIKE LINCOLN!!! Absolutely love your blogs and book suggestions. I look forward to them. Thank you. Thanks, Pam. It’s nice to know that people are enjoying this.